Having your pet groomed will not only keep your pet looking great, but also contribute to your animal’s overall good health. 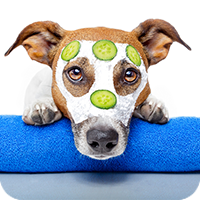 Regular grooming and bathing keep your pet’s skin and coat healthy and strong. Having your dog’s nails trimmed helps to prevent painful breaks or other damage. Our groomer, Linda Tate, has been grooming pets for over 25 years. She hails from Richmond and has been featured in several newspaper articles including Richmond Magazine’s Best of Richmond issue. Linda has a real passion for her job and compassion for your pets that shows in the time and care she takes to groom each pet to the owner’s liking. 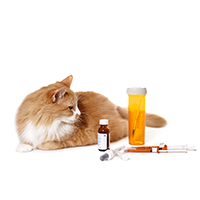 The health of your pet depends on access to and proper use of veterinary pharmaceuticals and treatments. We maintain a complete inventory of medications, prescription diets, vitamins and supplements, products for parasite prevention, flea and tick control, and heartworm prevention. For your added convenience, we also offer an online pharmacy. Our online pharmacy gives you access to quality products that can be delivered directly to your home. 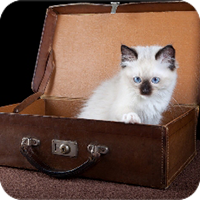 When traveling with your pet, certain animal health criteria may need to be certified by an authorized professional. We are experienced with and APHIS accredited to be able to write both national and international animal Health Certificates.For domestic travel by air, we recommend checking with your airline to determine specific travel requirements and whether a health certificate is needed. If an exam and certificate are needed, an appointment should be scheduled within 10 days of flying.For international travel, we recommend first checking www.aphis.usda.gov/aphis/pet-travel for country specific requirements as often advanced planning is needed. We can then work with you to set a schedule for the various requirements and put you in contact with the USDA for certificate endorsement if needed. Life is busy and unexpected illnesses happen. Sometimes your busy schedule does not allow you to come in during routine appointment times. Sometimes your pet needs to be observed and monitored. You may want to combine a medical visit with a grooming appointment. Our drop off service can make keeping your pet healthy a bit easier. Call us to discuss your pet’s condition and arrange a convenient time to drop him or her off. During his or her stay, we’ll address your concerns while keeping him or her safe and comfortable for the day.